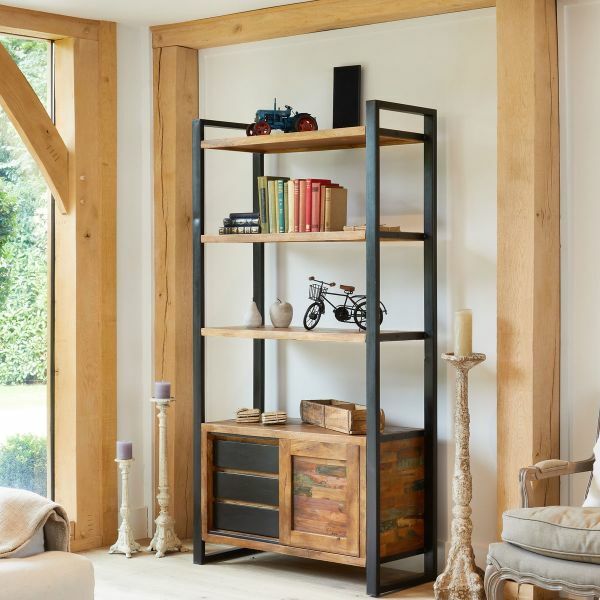 Hand crafted from acacia wood, the Kuba low bookcase contemporary style is off set with studded zinc. 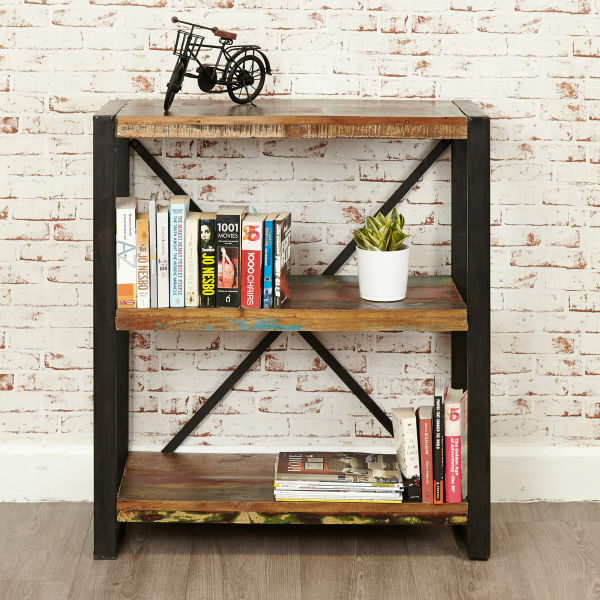 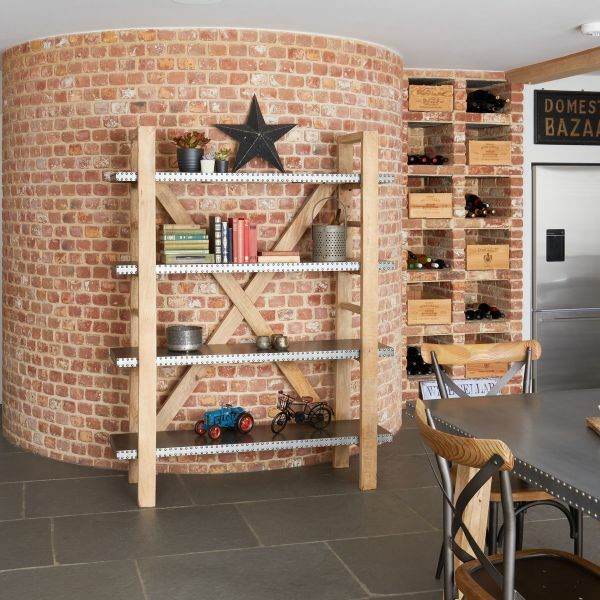 The unusual combination of rivet detailing mixed with the chunky, solid wood gives each piece an industrial look. 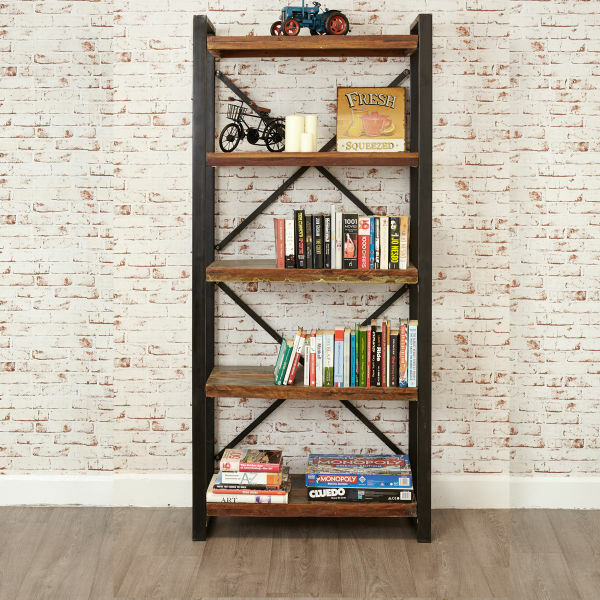 The bookcase is beautifully finished with a clear oil to create a one of a kind piece of furniture which will be a talking point in any room.